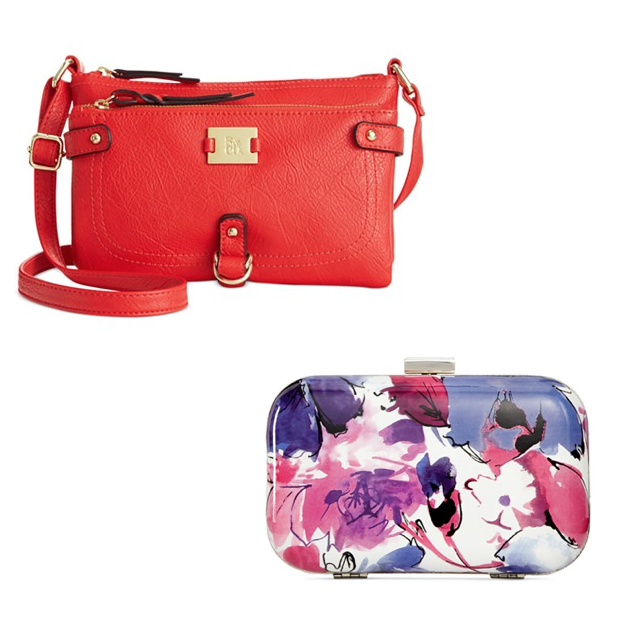 Select Handbags - Special Buy 1, Get 2nd For $9.99 At Macy's, Ends Tonight! You are here: Home / Great Deals / Select Handbags – Special Buy 1, Get 2nd For $9.99 At Macy’s, Ends Tonight! Select Handbags – Special Buy 1, Get 2nd For $9.99 At Macy’s, Ends Tonight! Buy the Style&co. Precious Cargo Mini Crossbody for $37.99 (down from $64) and get the Style&co. Mollie Minaudière for just $9.99 (on sale for $21.99 from $29.98)! Lots of other sales going on, lots of qualifying bags for the Select Handbags Sale – Special Buy 1, Get 2nd For $9.99 At Macy’s, Ends Tonight!